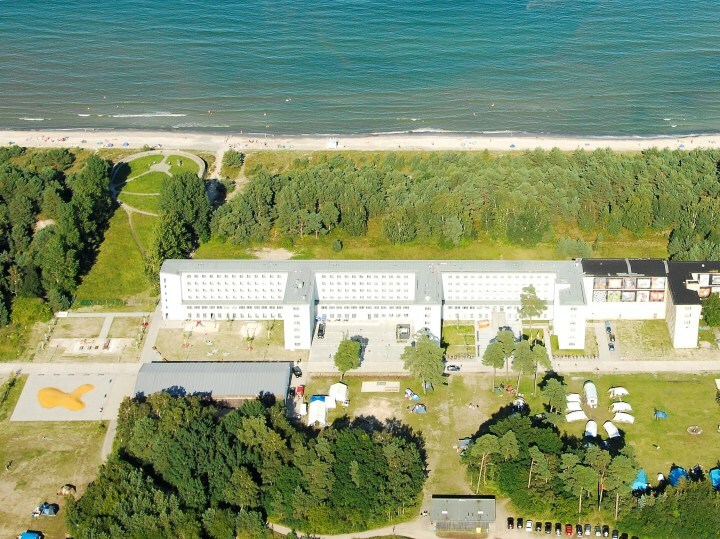 The world's longest Youth Hostel lies directly at a Baltic Sea beach on the Island of Rügen. Here you can stay overnight in a top location. 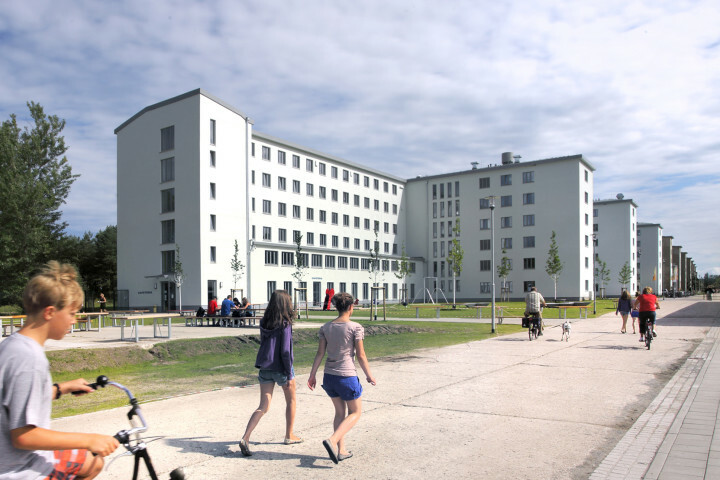 Youth Hostel Prora is made up of 402 beds in 96 rooms. 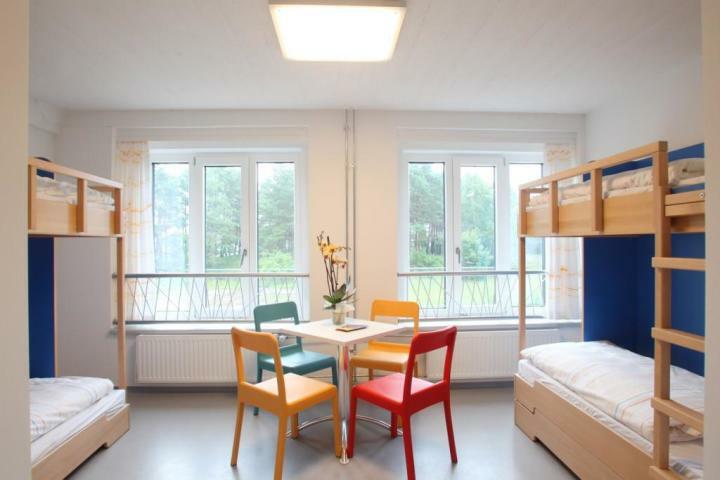 Prora hostel is a contemporary hostel and is set in an ideal location. The surrounding area is great for sports, including swimming, surfing and much more. It is also the perfect location for reading, relaxing and meeting new people. 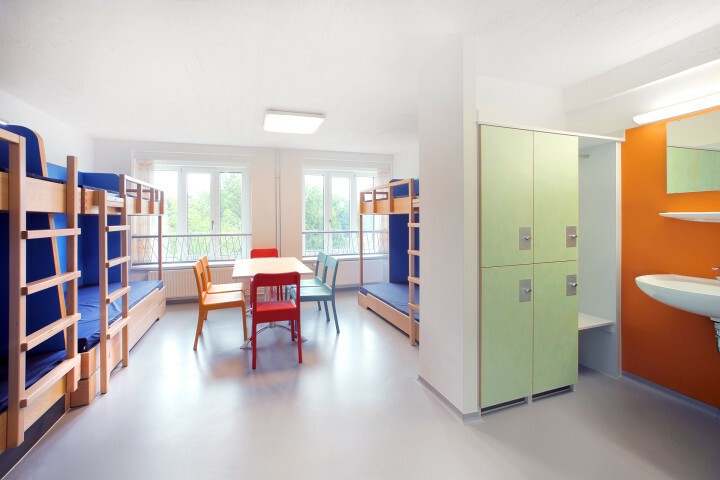 The hostel is suitable for all, including youth groups, families and single travellers., Youth Hostel Prora is made up of 402 beds in 96 rooms. 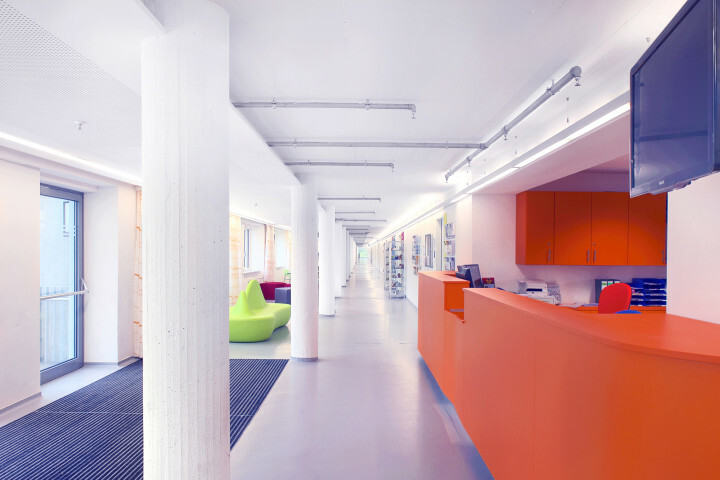 Prora hostel is a contemporary hostel and is set in an ideal location. 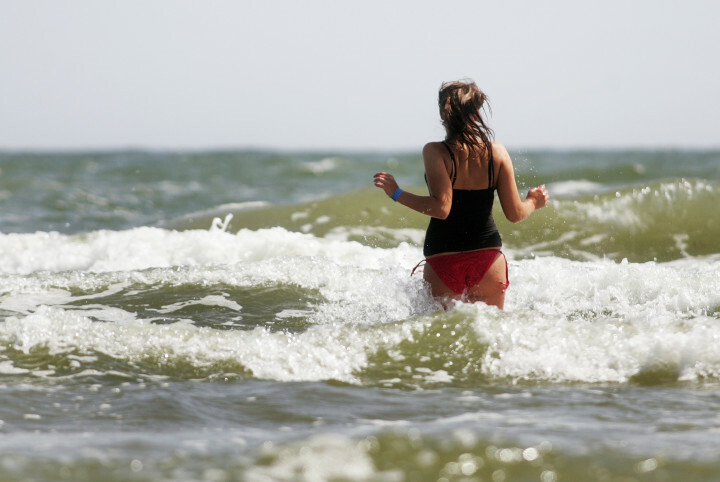 The surrounding area is great for sports, including swimming, surfing and much more. It is also the perfect location for reading, relaxing and meeting new people. 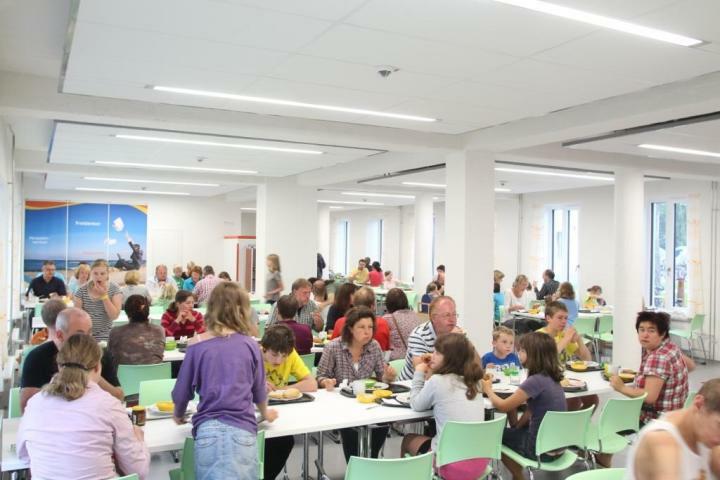 The hostel is suitable for all, including youth groups, families and single travellers. Well situated. Pleased to hire bike (but they should be checked first). More vegetarian options in Bistro and at breakfast please. Toilets and showers clean and good, Perhaps have one toilet at each end of corridors as well as central block? Excellent accommodation and friendly staff. Whatever age you are fascinating place to stay, would totally recommend a stay. Would be good to have some more information in english ay the museum to learn more about its history as such an iconic place. An ok place with an interesting history. Beach and opportunities for hiking and cycling good points; the remote location away from eg shops and restaurants less good! Duschen waren nicht gerade im Besten Zustand. A20 to Süderholz/Stralsund from there take the feeder road Rügen to Stralsund then B96 right before Bergen turn right onto B196 direction Binz/Sellin. At Karow turn left towards Binz / Sassnitz / Prora. At the junction with a traffic light turn right 200m to the former KdF-Bad Prora (the “Nazi resort”). Behind the rail tracks turn left immediately follow the main street for about 1km until the end of Mukraner Straße. Turn right towards Prora Youth Campsite. Alternatively take feeder road until Wilmshagen continue via Reinberg to Stahlbrode from there Glewitz car ferry to Zudar peninsula continue via Garz Putbus and Binz to Prora. Prora is a district of the town of Binz. Large parking for cars and coaches. Regional train from Stralsund via Bergen to Prora. IC or EC train via Stralsund to Binz there take bus #20 or 23 to Prora Nord bus stop; from there 1km walk to the campsite. Train timetables at Deutsche Bahn - telephone (01805) 19449 or website www.bahn.de.